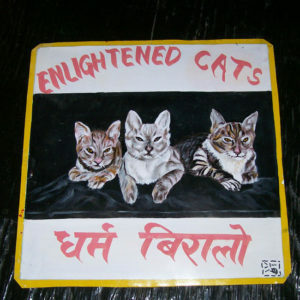 Folk art Grey Cats hand painted on metal by sign painters in Nepal. 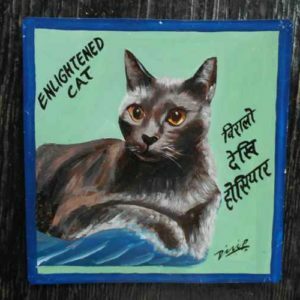 Folk art portrait of a Russian Blue Cat hand painted on metal in Nepal. 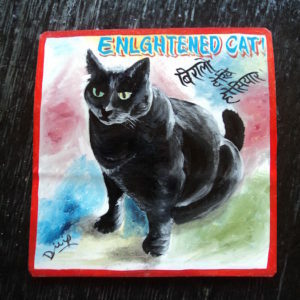 Folk art portrait of a Russian Blue Cat with green eyes hand painted on metal in Nepal. 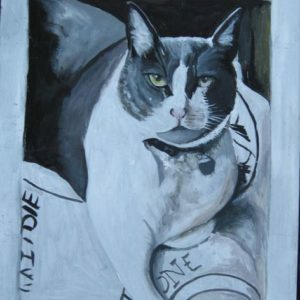 Ivan the Grey Cat is hand painted on metal by Hari Timesina. 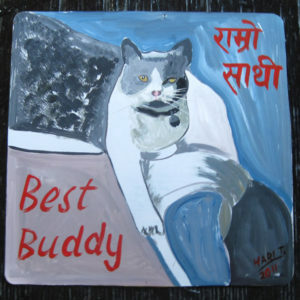 Ivan the Grey Cat is hand painted on metal by Sanjib Rana. This one is painted using acrylic paint. 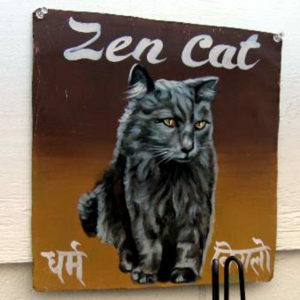 This grey Zen Cat is magnificent as painted by Baba. This pretty Grey Cat with a green background was hand painted on metal by Sagar Bitsa. 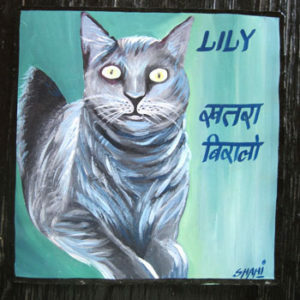 I can take this portrait of Lily back to Nepal and have it lettered again to say whatever you would like. 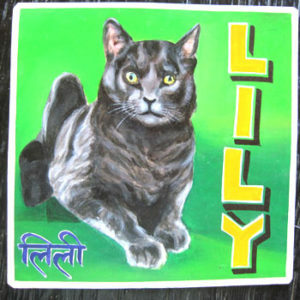 This folk art portrait of Lily the Grey Cat is hand painted on metal by the artist Shahi. This cat’s wonderful gaze is highlighted by the pretty green background. I can take this back to Nepal to add different lettering, if you would like. 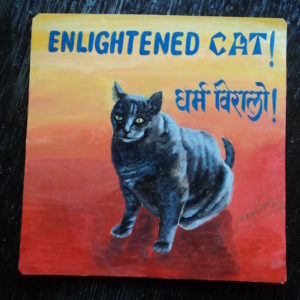 These 3 Cats are enlightened and hand painted on metal in Kathmandu, Nepal.